Next week, we will be presenting this trip as a volunteer opportunity for University of Ottawa Teacher Candidates. I think this is a wonderful opportunity for new teachers – what a wonderful way to start your career with three weeks learning about the power of education in El Salvador. Center for Exchange and Solidarity – CIS and the Center for Global Engagement, University of Ottawa Education Cultural Exchange program in El Salvador April 9 – 26, 2018. Learn about the history of the El Salvador, and the root causes of war, migration and violence. Exchange ideas about the educational system and teaching methodology in El Salvador and Canada with Salvadoran teachers and students of education. Salvadoran share specific testimonies of overcoming violence, women’s empowerment, how education and formation has impacted their lives and community. Promote a culture of solidarity, of mutual support and global connections for social and economic justice. General orientation, culture, security, health, history of the CIS. Testimony – History of the War and El Salvador. Hike ecological forest which was a guerrilla encampment during the war in Cinquera Cabañas. Learn about History and the Environment. Visit public school and exchange with students and teachers. Meet with CIS promoters in charge of formation of CIS scholarship program and their use of popular education in the communities. 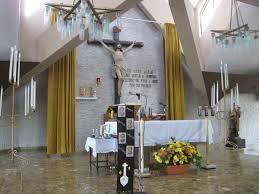 Visit the Jesuit University and site where 6 Priests and 2 women workers were massacred in 1989. Stay in rural community: visit homes, visit the school, do some exchanges with community and /or school teachers; meet with women’s businesses, make tortillas. Stay in Urban Community: Meet with teachers about special challenges of gangs in schools; understand the displacement of communities during the war and earthquakes and shanty town settlements; exchange with CIS art therapy course, and human rights committee. Workshops: Participants will be asked to develop a workshop or a series of workshops on one theme to share in the community depending on their skill set and interest – Some examples, that the community request include education methodology, different arts, marketing, computers, English, gender, human rights, environment, culture of peace, communication, environment. Indigo – history, culture, cultivation and processing of dye and dying clothes by women’s groups. Exchange with CIS English and Spanish Teachers and popular education and language instruction. Spanish classes are available online or at CIS in El Salvador. www.cis-elsalvador.org. It can also be worked into the program if there is an interest, but will limit time to carry out other activities listed above. CIS fee (food, lodging, program coordination, translator and guide, in-country transportation, honorarium, park or museum entrance fees): $1,800 U.S. / per person. Application fee $200 U.S. (non-refundable) November. Balance – $1,600 U.S. payment due: March 1st. 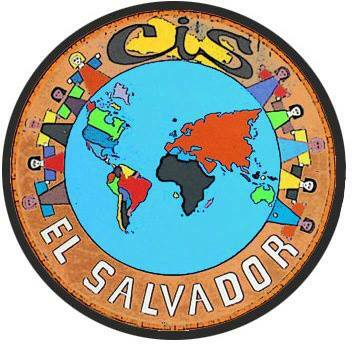 PLEASE E-MAIL TO CIS: delegaciones@cis-elsalvador.org so we can better organize your visit. What are your priorities for the activities you would like to see included during the exchange program? I always loved the excitement that comes with this time of year. Getting ready for a new school year always presented new possibilities and projects. In the past few years, I really enjoyed setting up a new year of blogs – one for staff and one for the school community. What I have found over the past few years is that as a school leader, one must do a very good job at telling the school’s story using every form of social media that works. In my last school, I found that blogging weekly to the school community worked very well. I started using a school blog when I started at St. Anthony School. Communication here was a big challenge, especially in a community where English was not the first language at home for many families. I chose to blog because it was the only format that could be translated into different languages using the handy translation tool. I also felt that the days of the paper newsletter were over and that the community had to move to a more flexible form of communication. I love to blog and I had used a staff blog as a way of communicating with staff members for several years. The school blog was an attempt to introduce the great communication tool to parents and the wider community. 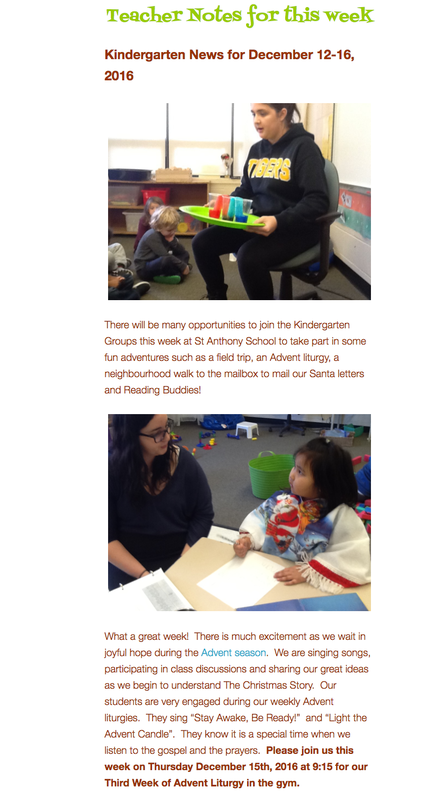 One of the wonderful surprises that occurred with the new school blog was the amazing staff participation in the creation of the weekly blog. Generally, almost all teachers contributed something for the upcoming school blog post. As time went on, many added photos from activities that had taken place during the week before. This was terrific for the parents and I think really encouraged wide readership of the school blog. From a principal’s perspective, this was wonderful as I received a weekly rundown of what each teacher was planning for their students. The blog was certainly an act of love, and it did take most of my Sunday to put it together. I really believe that it was well worth the time, especially when students asked me to make sure that photos from their class be included in the blog! I used Edublogs both for the school and staff blogs. For around $8.00 a month, I subscribed to their ‘pro’ service which allowed me to access their excellent help desk. This was money really well spent as my questions on some of the technical fine points of blogging were always answered within hours of my initial query. So, if you are looking for a good project for the upcoming school year, why not take up blogging for your school or for your classroom. The work you put into it is really worth the effort. You will be opening up your world to the parents you serve. Good luck, any questions? Please let me know, very happy to help! Next post – how to put together a staff blog. It’s got to be a challenge; all of the administrative details could conceivably keep you nailed to a desk doing paperwork all day long. It is always great to get writing prompts and Doug Peterson has just provided this one for me. Yes, I agree with Doug, brutally frank. However, this is not good enough. I am trying to define what innovation in leadership is by writing about what is missing in contemporary education leadership. It is easier to write about what is lacking rather than taking on the challenge to define what innovation in leadership really is. So, what does innovative leadership look like? First, I think innovative leaders need to be willing to rewrite the book on how to manage groups of people. They need to look at every situation and reflect on how could things be done differently and hopefully, more effectively. This means a bunch of things. It means that education leaders need to hand power back to the teachers they work with. Allow staff members to set the agenda when it comes to professional development, meetings, scheduling and in general, the running of the school. The idea behind this is that principals need to empower their staff members. These are exceptionally creative people and they need to know that they have control over areas that have an impact on the daily running of the school. Teachers should be in control of their own learning, just as students need to be in control. Educators need to know that their voice matters and that the running of the school is a collective endeavour. That is only one element of what I think it means to be an innovative leader. 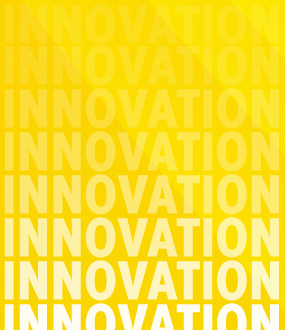 Being innovative means being open to new opportunities. One very innovative leader, Derek Rhodenizer took the opportunity to be innovative last week – for his last staff meeting of the year, he took his teachers fishing! He related later that this was a great way to encourage creative conversations amongst staff members. To be really innovative, you have to take risks. When you think out of the box, you are trying to do things in a way that has not been tried before. What you try will not necessarily be popular with your supervisors, but you have to be willing to take this risk. This will come with a personal cost – you have to be ready to accept this. Being an innovative leader has to become the way you think about everything you do. George Couros writes about this really well in the Innovator’s Mindset. You can’t be stuck in the way things have been done, you, as a leader, are called upon to do better than they way things have been done. There is one important caveat to all of this. As education leaders, we are part of a bigger system. In Ontario, we are responsible for fulfilling the curriculum as outlined by the province. Being innovative means looking for opportunities for change without calling into question the curriculum we were hired to implement. Donna Miller Fry, someone I consider a real innovative leader in Ontario and now Newfoundland makes this point very clearly. If there has been no learning, there has been no teaching. As educators, we work in service of student learning. We ask where a learner is now (assessment), where a learner is going (curriculum learning expectations), how a learner will get there (strategies to ensure students construct that learning) and how we will know (monitoring through assessment). This is an important cautionary note – yes, we need to be innovative, but we also must respect the fact that we are responsible for the learning that goes on in our building. Our innovative practices cannot be mindless. We need to keep aware that we have a great responsibility to the learners in our school. 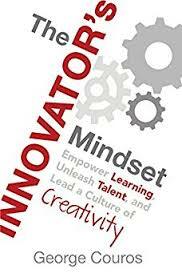 George Couros makes this point in the Innovator’s Mindset – we need to be able to innovate within the system we are a part of. But when you see the challenges that are facing schools and organizations, if “leaders” are not also “innovators”, there is a danger of irrelevance. As budgets are cut in many places, how leaders rethink how they spend money, rethink timetables and learning spaces, allocate resources, is part of the “new and better” thinking that is needed. George Couros – Is Leadership an Innovative Endeavour? Have I defined what innovative leadership needs to be? I doubt it, but maybe this is at least a first attempt. Thanks Doug for the prompt. I hope this generates further discussion. Today, I found the link to President Obama’s new Twitter account and his foundation page. It starts with a really positive message. When you go through the site, you are asked a few questions on what kind of positive initiative you would like to see happen. You are also asked to add an image and write about why it is important to you. I wrote this. I think a good citizen is someone who contributes in a positive way to make things better for those in their community. That community could be your neighbourhood, city, country or the entire world. We can all make a positive difference if we want to. I am part of a group that will be climbing Mt. Kilimanjaro in March 2017. I love this project because we get the adventure of a lifetime and at the same time, we raise money for a charity of our choice – mine is Rec LINK, a small organization that helps families in poor neighbourhoods access recreational services. It would be great to do something like this in Guatemala or El Salvador – places more people need to explore and learn about. That’s it – I got to write the President about Dream Mountains and its potential to continue to match adventure and social justice – something I really hope will happen in the future. I am really glad he asked. This is a position I have been in before. A large part of my role as an administrator has been to encourage the development of new teaching techniques based on digital technology and at the same time, work hard at making the learning at school more visible through the use of social media. 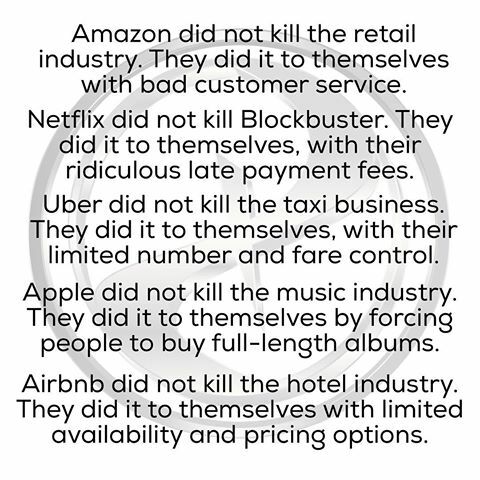 The move to digital transformation however does not last. Generally, the tools that we use especially to communicate with parents are not always picked up by the next person to fill the role of school administrator. There is a systemic problem here. Administrators are not trained in the use of technology or social media. Many are still hesitant to use Facebook or Twitter and fewer still blog to or text their parent communities. Part of the problem is that many administrators did not teach at a time where the use of digital media was becoming more prevalent in the classroom. There is also very little time spent on forming administrators as digital leaders in their schools. Many administrators are still deeply suspicious of social media. To me, there are several basic tools that all administrators need to be using. All of these tools have been around for years and do not require a huge amount of technical expertise to use. Facebook: Many administrators seem to have grown up at a time where Facebook simply was not trusted by educators. What they don’t realize is that most of our parents grew up with Facebook and still use it as a way to communicate with friends and family. 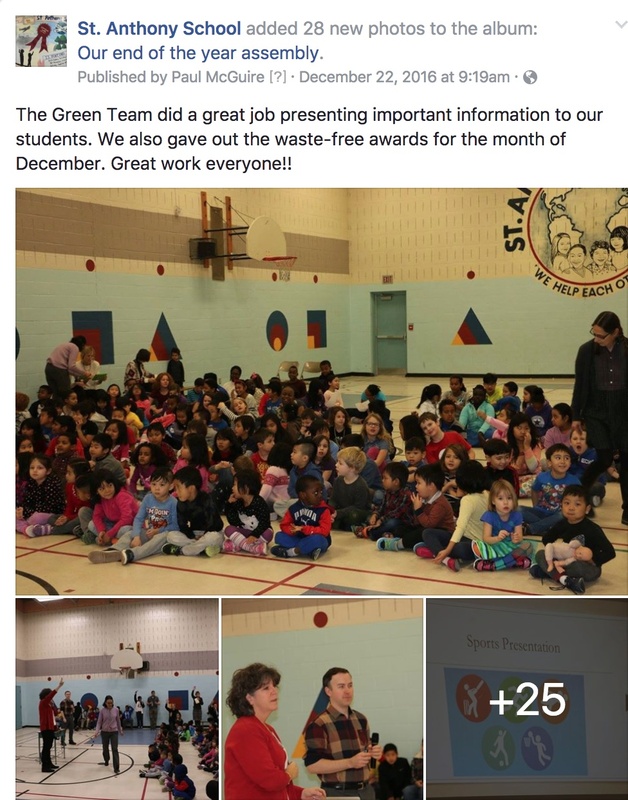 Facebook is easily the best tool to let parents into the school to see what is going on every day. Administrators need to use Facebook to open up their schools to their parents – they deserve to know what is going on. Twitter: Twitter needs to be used as a way to quickly communicate with parents and administrators should also be using it daily to keep up with the most recent trends in education. We have a responsibility to stay well-informed and that means developing a good list of people in the education field that are then followed on a regular basis. Remind: This may seem like overkill, but parents choose their own way to communicate with their school. You need to use a variety of tools so that parents can choose how they want to hear from you. You don’t need to use Remind, but you need some form of text communication with parents. Remind is very easy to set up and parents are the ones who decide if they want to receive your text messages. 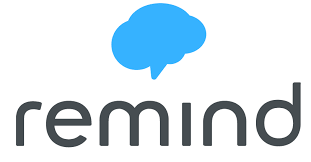 Remind is now set up to allow parents to respond to your texts – all in a way that preserves the privacy of the user. Blogging – you need to blog! 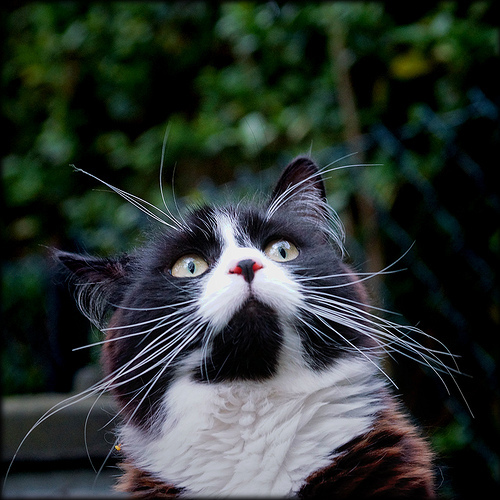 The day of the tired out monthly newsletter is gone, thank goodness! Having said that, this does not release the administrator from communicating with parents on a regular basis on what is happening and what is coming up at school. 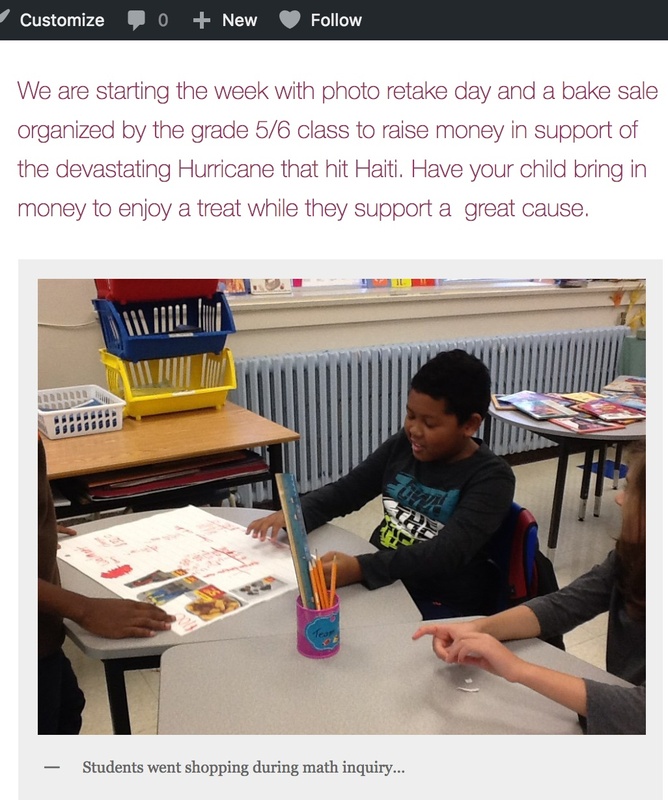 At my last school we used Edublogs to send a weekly post to parents on what was planned for the upcoming week. All the teachers contributed to the blog with a rundown of their plans for their class. The blog was the very best tool we had. Parents and teachers read it every week to keep up to date with all academic, sports and social news coming from the school. It was an invaluable tool and one that really should be used by all administrators. There are many other tools that can be used to engage your parent community and new ones are being created every day. My main point is that this is part of the administrator’s job in 2017. I don’t know how we can ask our teachers and our students to become adept at using digital technology when our own principals lage so far behind. There is hope. If you are an administrator – challenge yourself – start learning today! As my first of 31 posts in 31 days, it makes sense to start with future plans. This blog is names ‘Teach Talk’ and this has been my main vehicle to write about education issues and projects. This really is no different, the trip to Kilimanjaro will raise money for kids in our school neighbourhood, helping them to get involved in recreation programming in their neighbourhood. I also plan to use different forms of communication technology to reach back into the classrooms that I can link to. So, here is #1 – the beginning of the next adventure. In 95 days, I will be setting out on a brand new adventure. I will be climbing Mt. Kilimanjaro with a wonderful group of Adventurers led by Shawn Dawson. I am writing this post for a variety of reasons. Some of you have already donated on my fundraising page – thanks so much! I am already at 48% of my goal of $5000.00. All this money will go to the Sens Foundation and then directly to Rec Link – a wonderful organization that supports kids and families in the Dalhousie, Ottawa Center West neighbourhoods. I want to thank all of you for helping me get half way there! For you and all future supporters, I created this email group so I can let you know how the climb goes. I have invested in all sorts of communication technology that I will use to connect to students in schools. My main platform to tell our story is produced by ESRI and you can access it here. This is a work in progress and I want to publically thank ESRI for all the wonderful support they have given me. Finally, I am looking for your support. You can join us for our January 27th (Friday) Gala Fundraiser Retirement Party (see above). Tickets are $25.00 and if you register on-line, we will get tickets to you and you will get a tax receipt! This promises to be a wonderful night with live music and a great silent auction. Many of you have supported me on past projects like the Aviva Community Foundation – you are a great, dynamic group that in the past has allowed me to raise $140,000.00 for St. Anthony School. Now, I would love you to join me on this great adventure and contribute to a really important organization. Thanks so much for reading this and for your support!! Do we see poverty in our schools? For many years, I took groups of teachers and students down to the Dominican Republic, Mexico and El Salvador. There is no question that the poverty down there is grinding and the injustice is at times overwhelming. These trips were very meaningful and I was fully committed to sustaining partnerships with the communities we came into contact with, especially in El Salvador. Many of you may already see where this is going. What about the poverty in your own backyard? What about the terrible poverty in Canadian indigenous communities? I never really had a good answer to these questions. I guess I thought that I was doing my part. Now, I don’t see this as good enough. I have been very fortunate to work in a high poverty section of our city – for me this is a first. I am ashamed to say that I really didn’t know the extent of the poverty in these communities in our own very wealthy city. We routinely buy boots for our kids. We support children through breakfast and lunch programs, we subsidize a whole variety of lunchtime programs so that our kids get the same educational opportunities as others in better off neighbourhoods. We are constantly applying for grants for recreational equipment, technology and improvements to our yard. I am not writing this to make us look virtuous, this is simply some of the things you need to do when you live in a poor neighbourhood. Even in a rich city. Sometimes you have to go cap in hand to well off schools to get help, especially at Christmas. I don’t like doing this, but it is important to help families especially at Christmas. This year, we were turned down by one of the well off schools in our board. This same school routinely raises thousands of dollars for schools in Southern countries. Of course, this is their choice, but what has happened to our priorities? How have we lost sight of the poverty of our neighbours? I have no answers, only to say we still have a long way to go in the journey from charity to true social justice, especially in our own backyard. As for our school community, we will do just fine. Digital Implementation in School: How are we doing? Implementation of digital content seems to be widely misunderstood. You can’t just drop in a sophisticated digital program without a really good implementation program. Like with everything in education, it comes down to the person. If teachers are ill-equipped to use new programs, they will fall back on traditional teaching methods. Implementation is a long game. To successfully introduce a program, you need a multi-year plan for professional development and support for your teachers. If we use the SAMR Model as a measuring stick, I think that most teachers are still at the Substitution level. At this stage, with all the technology available, we should at least be working at Modification – ‘Tech allows for significant redesign’. I don’t think this is happening mainly because teachers do not have sufficient time during the day to explore the tools already out there that would allow them to transform their use of technology. In Canada, teachers spend an average of 800 hours in the classroom per year. In contrast, Japanese teachers spend 600 hours in the classroom (Education at a Glance 2014: OECD Indicators). The Stanford Center for Opportunity Policy in Education suggests that teachers need at least 10 days a year be set aside for in-school teacher training supported by coaches and mentors. In Sweden, teachers are allocated 15 days or 6% of a teacher’s total working time to professional development (How High-Achieving Countries Develop Great Teachers, August 2010). Timely, well-supported PD might help us to move towards Modification and eventually, Redefinition. As part of this process, it is really important your staff with excellent digital training resources. We are in the second year of a partnership with Atomic Learning. I consider this a great investment. You cannot ask your teachers to rely on YouTube or Google when they have questions on a variety of digital programs. They need sources of curated material delivered by professionals who are used to working with teachers. Atomic is not the only source for this professional learning, but for us, it’s works really well. Discovery Education, especially in the United States and Great Britain is also providing excellent on-line and person-to-person PD. The personal touch, in my opinion is really important. Discovery spends a significant amount of time encouraging teachers to meet and share ideas. They also feature innovative teachers on their blogs through the DEN- Discovery Educators Network. The element of ‘teacher voice’ is a very important aspect of their approach to professional development. Pockets of innovation certainly do exist, but to me, the implementation of digital technology has been painfully slow. We seem to still be willing to invest in text and print resources rather than make the leap to digital texts and resources that allow for greater innovation and creativity. The tools are certainly out there. They do require a significant financial commitment, but we need to move in a more deliberate fashion towards the adoption of these tools at a much more meaningful level. Today we had something that unfortunately is becoming increasingly rare – an in-school PD Day where we were able to control the agenda. First, I have to thank our board for allowing us to plan our own day. This makes such a wonderful difference! Within the parameters of our school improvement plan, teachers chose to focus on one of the ‘critical actions’ outlined in the plan. II. Innovative Learning Stance: What am I doing differently this year to help achieve the school priorities? What are my critical actions and what do I expect to see as a result of these actions? III. Leveraging Digital – choose one digital tool to work on – it can be seesaw, Edublogs (see below) or some aspect of Discovery PD section here or another tutorial from Atomic Learning. Please add your choice to the survey (you are able to go in and edit your answers – you will need to do this by the end of the day) What learning can you record (based on your work today)here that we can add to our SIPSaw? I asked them to record their learning , I can add this to our school improvement plan. This is some of what they came up with. Pretty amazing. People came up at the end of the day and talked about how much they enjoyed the experience. All the learning was authentic and valuable because the teachers were in control. Let us hope that in the future, teachers will have more great learning opportunities like today.